Today’s content management systems (CMSs) are more powerful than ever and serve content across a multitude of mediums including audio, text, and video. Website content is largely controlled by a web content manager or an administrator who creates and manages an organization’s digital materials to dynamically present new and fresh content to millions of interested visitors. An effective web content manager must possess many technical and interpersonal skills as their job continuously bounces between the website’s backend and meetings with website developers, marketing teams, and executives. We have identified the five skills every web content manager needs in 2018. In general, the more technical knowledge a web content manager can master, the better. A website’s content is written in HTML and displayed using CSS, so familiarity with markup and presentation makes for a better content manager. Being able to rely on oneself rather than outsourcing answers means a content manager can spend more time crafting content and less time seeking help regarding anything related to their content. Text on the web is produced as HTML (HyperText Markup Language) which provides structure to written words. A web content manager should be comfortable working with HTML to control their content and its presentation as they desire. Many CMSs come with What You See Is What You Get (WYSIWYG) text editors that manage the content's entire markup but being reliant tools like these limit a web content manger's ability to control webpage layouts. Being able to rely on oneself rather than leaning on technology means a content manager can spend more time crafting content and less time seeking help regarding anything related to their content. As the internet has improved and sharing became more efficient we began sharing digital content beyond written words. Content creation and sharing applications like Youtube and SoundCloud are new tools to deliver your brand's message across your website. Coupled together with social media platforms dynamic content can be consumed as simply and quickly as a single click on a mobile phone. Web content managers who are proficient with new media tools will be more successful at achieving their goal by taking advantage of additional communication channels. A web content manager brings value to a website by creating and presenting information that interested parties are searching for across the globe. By understanding website analytics a content manager can use information gleaned from the data to better target, reach, and serve their audience. Knowing where, when, and why visitors are stopping by your website increases a web content manager’s value tremendously. Web content managers will use their understanding of the web to make recommendations to their IT team regarding website use. A website’s content manager crawls through its pages more often than any other person and has a front-row seat to possible usability issues. Having an understanding of what website elements are user-friendly, and why, is an invaluable resource. A web content manager wears many hats and operates in a landscape that is always evolving. In addition to the five skills noted above the best web content managers are excellent at paying attention to the details of their job. When the time comes to click Publish, it helps to be thorough. Geoff's development on the web took off as a graduate of the University of Maryland in 2009. His niche hockey blog was linked to by the largest entity in sports writing and an interest and passion for creating web content and driving traffic was carved out that day with each visitor. 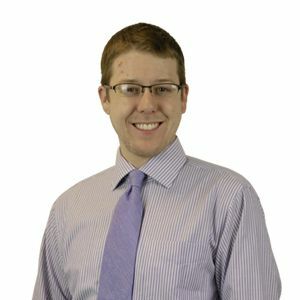 He has written for many small sports journalism websites since 2009 but joined Vox Media in 2013 as a regular author for the premier professional hockey blog in Washington, DC.